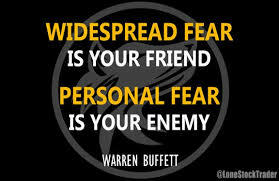 First, widespread fear is your friend as an investor, because it serves up bargain purchases. Second, personal fear is your enemy. It will also be unwarranted."